When new guests visit Tricky Fish, we often get questions about some of the funny names on the menu. These “funny names” are often related to our Southern, Cajun roots, since Cajun and Creole ingredients permeate many of our menu offerings. One that sparks many questions is the Andouille sausage we use in our Kitchen Sink Gumbo. What is Andouille sausage? Tricky Fish – Richardson’s and Fort Worth’s best restaurant for Cajun food and more – is here to explain. Andouille sausage originated from French immigrants that settled on the banks of Louisiana. Their French cooking techniques merged with other local techniques brought in by the Italians, Native Americans, Germans, and Spaniards to create a new style of cooking we often call Creole. Andouille sausage is simple a Creole sausage that’s a little spicier than its French counterpart. It incorporates coarsely ground pork, garlic, onion, and spices for a delicious Creole sausage with a distinctive kick. Andouille sausage is smoked twice for added flavor. And in case you are wondering, Creole cooking is very similar to Cajun cooking, with just a few minor differences in cooking techniques. Who Supplies Tricky Fish’s Andouille Sausage? Tricky Fish prides itself on sourcing the best, highest quality ingredients and we expect no less from our meat and seafood suppliers! Our Andouille sausage is supplied by Syracuse Sausage, a family-owned and operated business right here in North Texas. Each of their sausages are minimally processed with no fillers, preservatives, or artificial ingredients. And the custom spice blend that goes into each batch creates a unique flavor profile you just can’t get anywhere else. Ready to try some delicious Andouille sausage? 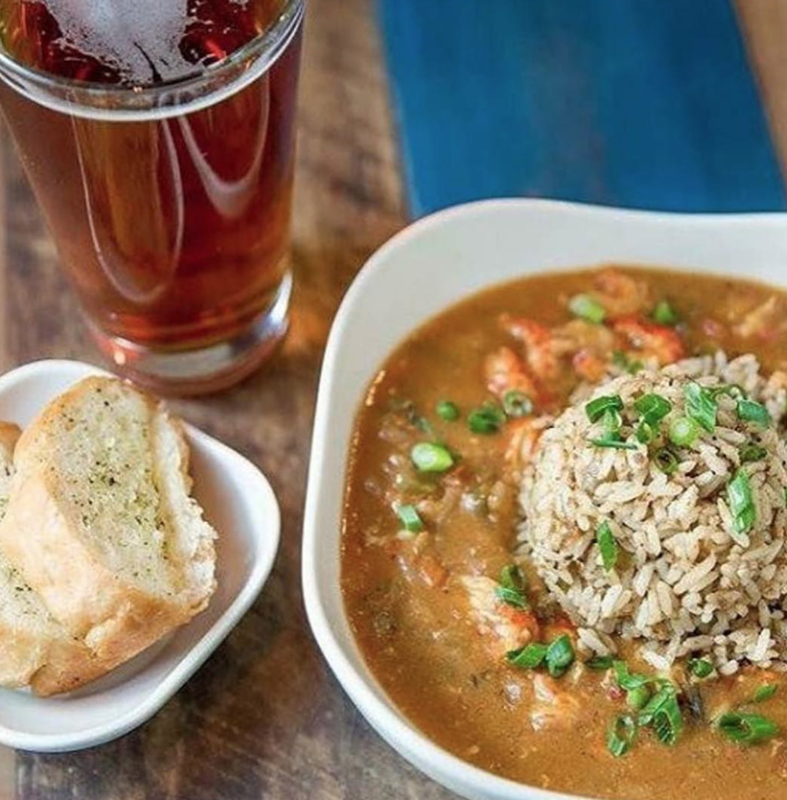 Visit Tricky Fish in Richardson or Fort Worth and order up our Kitchen Sink Gumbo! Don’t forget to order a craft beer or cocktail to go with it! Have other menu questions? Just ask your server! We’re always happy to help.